Arun Ramamurthy is an exciting violinist who is making his mark in Indian Classical and World music. 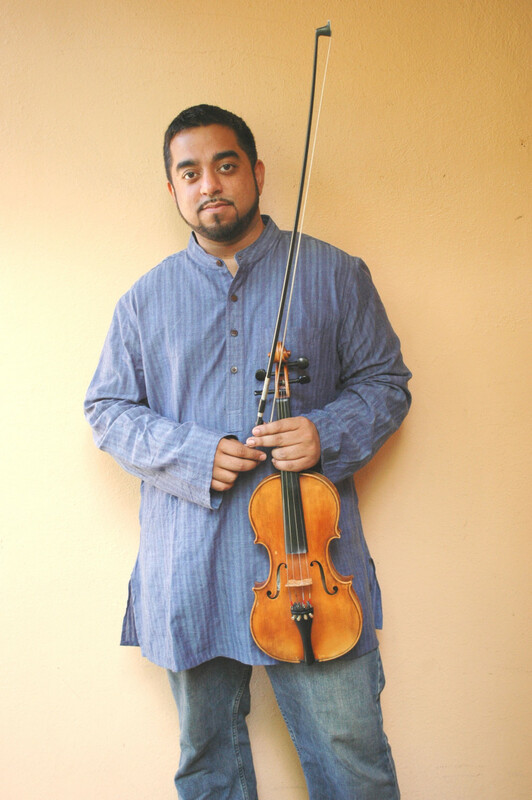 Disciple of leading Carnatic musicians, Dr. Mysore Manjunath & Sri Mysore Nagaraj, Arun has become one of the most sought after violinists in the US. He has carved a unique niche for himself as a versatile musician, playing together with artists from Indian (Carnatic & Hindustani), jazz, folk and rock genres. The Arun Ramamurthy Trio (ART) is a new group bringing classic Carnatic compositions and improvisations to new light. ART presents fresh arrangements to age-old compositions and features original melodies rooted in Indian ragas. Collaborating with innovative musicians Sameer Gupta (drums) & Perry Wortman (bass), the trio utilizes their respective musical backgrounds to create organic & engaging improvisations. While exploring their limits, the Arun Ramamurthy Trio stays true to South Indian music’s rhythmic texture and rich sound.